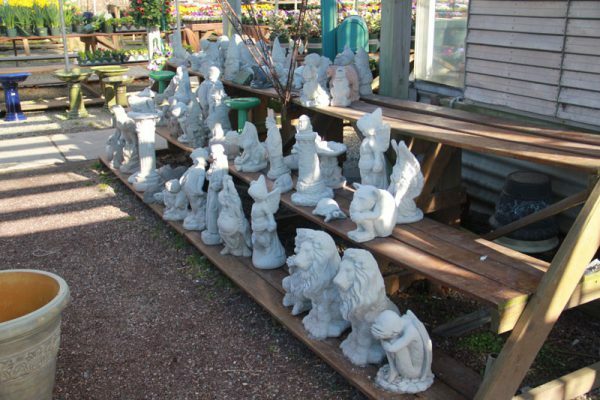 We carry a large assortment of small concrete statuary from 4″ up to 24″. 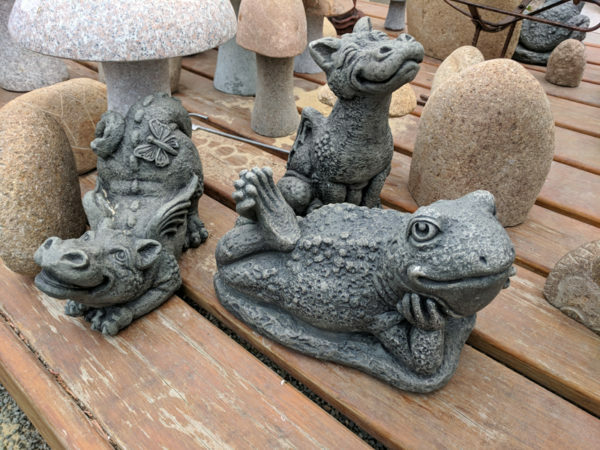 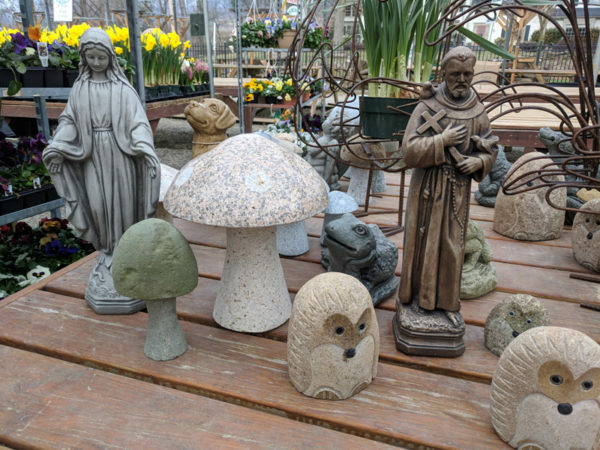 We have dogs, cats, turtles, frogs, Buddha, lions, pigs, gargoyles, birds, otters, gnomes, foxes, doves, St Mary, St Francis, and a ton of other fun things for your home! 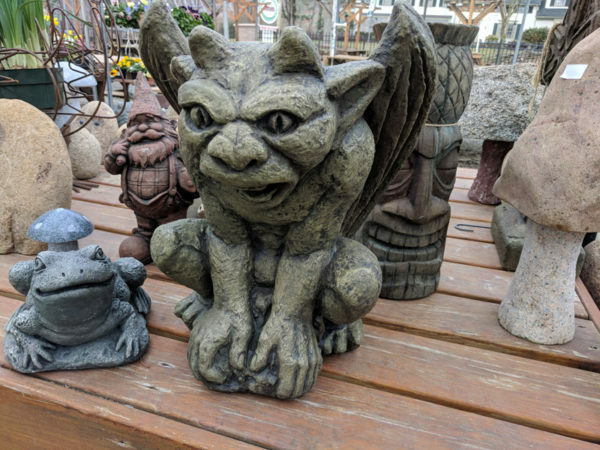 Here are a few sample pictures of our collection. 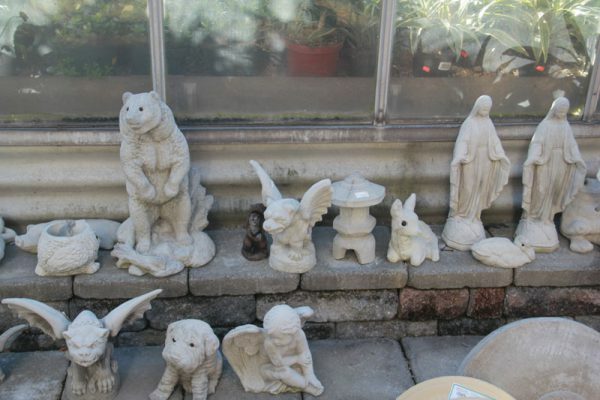 If you are looking for something in particular, we can order anything Massarelli makes. 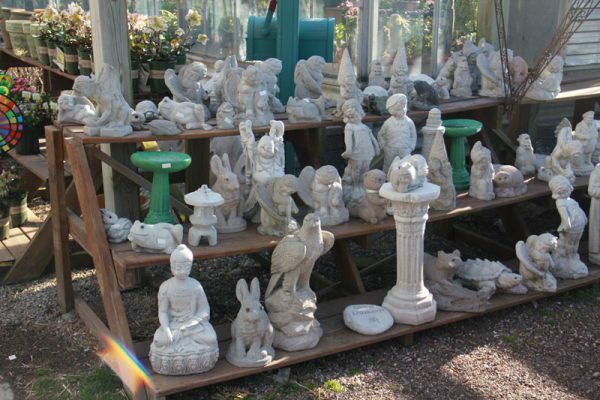 We also sell granite turtles and penguins as well.